Experimental gesture recognition software from PodTech can turn your hand into a computer mouse that can control your computer. 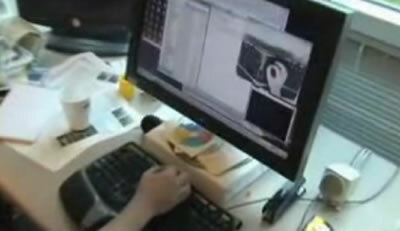 The video of ex-Microsoft evangelist Robert Scoble provided below shows how it works. 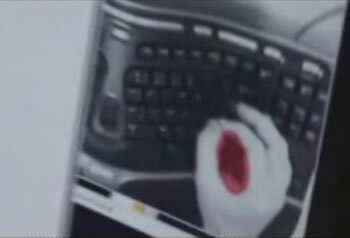 A camera focused on the user's hand above the keyboard detects when the user touches his forefinger to his thumb. When that "circle" is made, the software maps the gesture to the screen, allowing control in the same way that a mouse can drag and drop, and so forth. Gesture recognition using video frames grabbed in real time has been around since the early 1990's. The interesting thing about this story (to me) is not necessarily the PodTech software, but the fact that now all of the hardware components (built-in cameras, powerful processors) are standard equipment on many computers, and are cheap in any case. You won't need expensive setups like the otherwise cool Minority Report Glove Interface From Raytheon, to say nothing about millions of dollars in movie magic like the Wired Glove Interface Display from Steven Spielberg's Minority Report. You might still need a glove to talk to your gun or other weapon; see the Handwear Computer Input Device Combat Glove. Via Adrenaline Vault; read about more Vision-Based Hand Gesture Recognition Systems. Thanks to The Sabre Runner for the tip on this story.